Faster Broadband is now enabled throughout Stonham Aspal. This is FTTC – Fibre To The Cabinet. This means that there is fibre to the new cabinets (Tennis Courts and Crowfield Road/ A1120 junction), and then to your home by the existing phone wires. Unless you have a newer Broadband modem (within, roughly, the last 3 years), you will need one that supports VDSL2. The speed depends on how far away you are from the cabinet. Your existing supplier will be able to quote you to change your service, but shop around, there may be better deals. 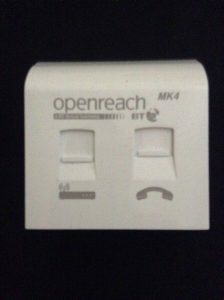 Some people have found that they have had to change their telephone master socket to get a stable and better link: You need a NTE5C box. You can buy these online and they are fairly simple to install yourself: If your installer visits make sure they put one in!